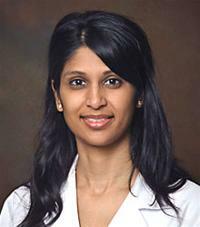 Dr. Yalamanchili received her medical degree from Albany Medical College. She completed her medical internship at Albany Medical Center and her ophthalmology residency at the State University of New York (SUNY)-Downstate Medical Center in New York City. She was then selected for a neuro-ophthalmology fellowship with Dr. Arthur H. Wolintz at SUNY-Downstate Medical Center. Dr. Yalamanchili is board certified by the American Board of Ophthalmology. She is a member of multiple professional associations including the Alpha Omega Alpha National Honor Medical Society, American Academy of Ophthalmology (Fellow), and the New York State Ophthalmological Society.